When teachers connect with students on a personal level, it elevates the students’ chances for success. 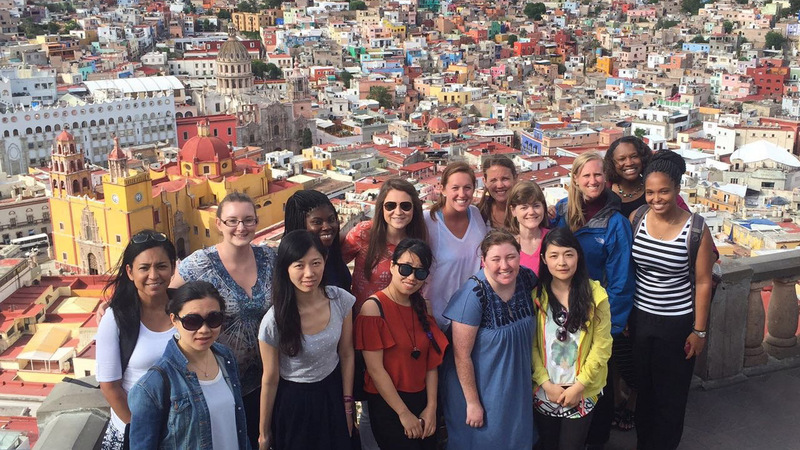 For future teachers in the College of Education’s Master of Arts in teaching (MAT) program, a recent cultural immersion trip to Mexico empowered them to empathize while they educate. This summer, Dr. Micha Jeffries and Dr. Joanna Koch took a group of graduate students to Mexico for firsthand experience working with students in a different cultural context. The professors’ goal was to help future teachers meaningfully engage with students in diverse learning environments. In many Wake County classrooms and in schools throughout North Carolina, increasing classroom diversity calls for a renewed focus on equity through empathy. For the 2015-16 school year, nearly 12,000 students with limited English proficiency attended a school in the Wake County Public School System. When students studied abroad in Mexico, they deepened their knowledge of social justice, which is a focal point of the MAT program. The 10-day trip included participating in Spanish language classes and visiting graduate education classes at Universidad Iberoamericana in Mexico City. There, NC State students learned about and exchanged views on education with Mexican students. The next stop, Guanajuato, included service learning through volunteer opportunities with a local school, and living with a host family for seven nights. MAT students received daily language instruction for three hours and then taught an English lesson on their final day in the country. The program’s emphasis on cultural awareness helps students like Hill use their lived experience to think about cultivating a classroom that is more responsive to diversity. Students who study abroad in Mexico are encouraged to work through personal biases, critically examine ways in which they may better interact with ESL and immigrant students, and increase efforts to provide equitable instruction to make students feel comfortable in new learning environments. Hill’s sentiments reflect what Jeffries and Koch say are common positive outcomes of cultural immersion. Of course, MAT students weren’t the only ones impacted by the cultural immersion experience in Mexico. Like many study abroad programs at NC State, the Mexico cultural immersion experience will expand in the future. Additional professors in the College of Education will lead the trips, and plans are in the works to broaden the program’s outreach to more students. The MAT program will also grow local immersion initiatives, including tutoring ESL students, to complement the experience. With this expanded reach, future teachers will have even greater opportunities to engage in relevant, critical discussions on diversity, equity and high-quality instruction to address the needs of all students. These types of conversations that come from cultural immersion create well-rounded educators who can truly connect with their students. Learn more about how study abroad programs in the College of Education and throughout NC State shape student views on education, equity and diversity.